Be More Like Driver A! There are two types of vehicle owners on the road these days. They’re called Driver A and Driver B. 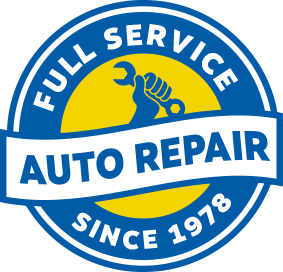 At SAF-T Auto Centers in Wallingford, CT, we love them both the same and treat them both like family. However, there are distinct differences in the way they drive and handle their vehicles. Driver A has a dependable pre-owned vehicle with more than 100,000 miles on the odometer. He’s been able to drive his vehicle without any major problems for years because he adheres to a strict maintenance service plan. When his check engine light came on, it caught him by surprise. There were no other warning signs to go along with the dashboard alert and Driver A’s vehicle seems normal otherwise. He understands that a check engine light is nothing to play with. Driver A will bring his vehicle to SAF-T Auto Centers because he heard that we use state-of-the-art tools and equipment to service and diagnose all makes and models. Since the cause of the check engine light could be almost anything, he doesn’t trust himself to self-diagnose his engine. Driver A trusts the professional diagnostic equipment that we use. We welcome Driver A with open arms and give him all the correct answers to his check engine light questions and concerns. And of course Driver B is still on the road driving right now with a dashboard alert. He’s driving a newer model vehicle with less than 15,000 miles on the odometer. Driver B doesn’t like visiting an auto repair shop unless he is forced to. Besides, he’s driving a relatively new car and the check engine light should not be on. Instead of stopping by SAF-T Auto Center for a quick and accurate diagnostic service, Driver B chooses to self-diagnose his vehicle’s check engine light. Since he doesn’t have the same advanced technologies that our ASE Certified technicians do, he has no idea what’s happening under his vehicle’s “new” hood. Driver B shrugs off the alert because his vehicle’s road performance has not been compromised. We usually see Driver B when his vehicle towed to us our shop after he was stranded on the side of the road. The initial dashboard alert was a solid red/orange light, and he continued to ignore it until it started to flash. Unfortunately, it was too late by then. The flashing check engine light indicates an emergency! Driver B knew it was serious but he still broke down. Schedule Your Check Engine Light Repair! We provide top quality auto repairs and maintenance for both Driver A and Driver B. They’re both a part of our family of dedicated customers. One customer–Driver A typically save himself a lot of time, stress, and money by being proactive with his check engine light services. The cause could be something insignificant like a loose gas cap or something serious like a transmission repair need. Find out today, since timing is everything when it comes to auto repairs. Choose the right repair shop–SAF-T Auto Centers–to get the truth about your vehicle’s condition. Give us a call today at 203-599-4875 (Wallingford Location) to schedule your check engine light repair service. You can save time by scheduling right now using our convenient online scheduling system. Next time you’re in the area–121 North Plains Industrial Road–feel free to stop by with any of your questions or concerns. We gladly welcome Driver A and Driver B to put and keep their vehicles in optimal condition at SAF-T Auto Centers!